Demi-Lee (22) from Sedgefield was crowned Miss Universe in Las Vegas last night. We are happy and proud and want to celebrate our title with 25 free spins as well. 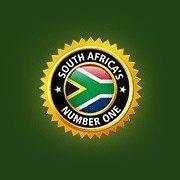 Congratulations from all of use here at Springbok Casino. Terms & Conditions apply. This bonus is valid until November 28th. The maximum payout is R1000. Terms & Conditions apply. This bonus is valid until November 28th. You can redeem this The playthrough of your free spins is 10 times only!